New Orleans, 1918. The birth of jazz, the Spanish flu, an ax murderer on the loose. The lives of a traumatized cop, a conflicted Mafia matriarch, and a brilliant trumpeter converge—and the Crescent City gets the rich, dark, sweeping novel it so deserves. 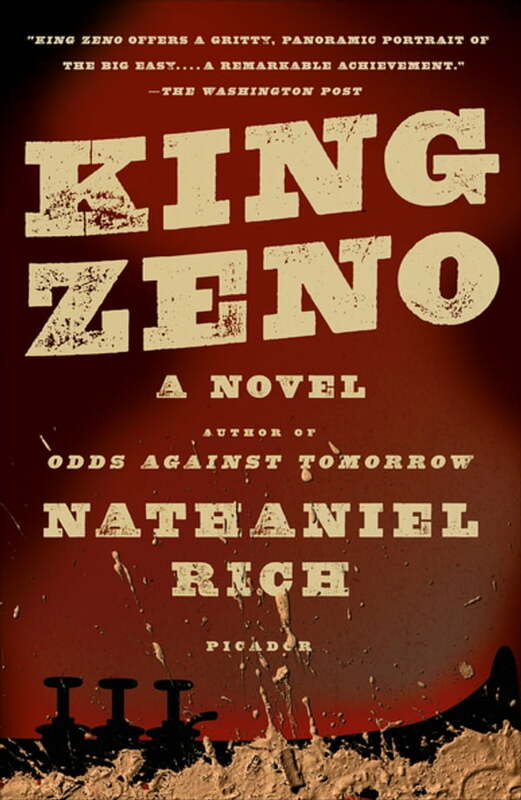 From one of the most inventive writers of his generation, King Zeno is a historical crime novel and a searching inquiry into man’s dreams of immortality. New Orleans, a century ago: a city determined to reshape its destiny and, with it, the nation’s. Downtown, a new American music is born. In Storyville, prostitution is outlawed and the police retake the streets with maximum violence. In the Ninth Ward, laborers break ground on a gigantic canal that will split the city, a work of staggering human ingenuity intended to restore New Orleans’s faded mercantile glory. The war is ending and a prosperous new age dawns. But everything is thrown into chaos by a series of murders committed by an ax-wielding maniac with a peculiar taste in music. The ax murders scramble the fates of three people from different corners of town. Detective William Bastrop is an army veteran haunted by an act of wartime cowardice, recklessly bent on redemption. Isadore Zeno is a jazz cornetist with a dangerous side hustle. Beatrice Vizzini is the widow of a crime boss who yearns to take the family business straight. Each nurtures private dreams of worldly glory and eternal life, their ambitions carrying them into dark territories of obsession, paranoia, and madness. In New Orleans, a city built on swamp, nothing stays buried long.